Learn more about how physical therapy can improve your strength and flexibility. "We Really LOVE What We Do!!" Don't Suffer Another Minute. Call Now For An Immediate Appointment With Dr. Ray De Felice at (973) 835-6669! Our staff of chiropractors and physical therapists are here to personally guide you on your health and wellness journey. We confidentially evaluate your condition and develop a plan of care that may include spinal adjustments, joint manipulations, range of motion exercises, strengthening exercises and posture-improving education. From helping you set up your work station to support a healthy spine to educating you on the benefits of proper sleep, nutrition and activity, we are here to teach you how to live a pain-free a healthy life. Dr. Ray serves patients of all ages and can help athletes recover from concussions, muscular sprains or stress fractures. He works with older adults to slow down the aging process of the spine, free the nerves and promote a healthier nervous system which has a direct impact on how you feel. Talk to us today for nutritional and fitness guidance. A healthy lifestyle compliments your chiropractic care and helps to maintain a healthy spine. We also teach you at-home exercises to support your chiropractic care program. These treatments combine to help you recover from injuries and prevent new injuries from occurring. 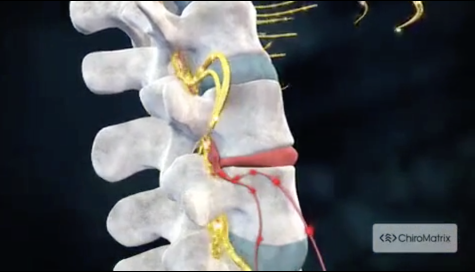 If you are seeking pain-relief and want a natural option, let Dr. Ray show you a new way. "Whether you're looking for relief from severe chronic pain, searching for ways to beat the aches and pains of day-to-day living, or seeking the "holy grail" of optimal health and peak performance, you've come to the right place.I think you'll find we're a little different from other health care providers. It's not just our commitment to providing first-class health care through natural Chiropractic treatments - though that's part of it. And it's not just our great rates that provide a fantastic value for our patients-though that's part of it, too. It's our whole philosophy.You see, I'm passionate about your overall wellness on a structural, nutritional, even emotional level! And so is my whole team. That's why, once you're out of pain, whether it's back pain, neck pain, headaches, extremity pain, or other problems...we'll teach you how to stay that way while maximizing your "TOTAL HEALTH"... for good!" Please call us today at (973) 835-6669, to schedule your evaluation and begin your treatment program. We will see you soon! New Patient Special! $200 Value Complimentary Exam. Sign-up using the form or call us at (973) 835-6669 to take advantage of this exclusive offer.